Which retailers will offer my book? What will help readers buy my book online? How easily will customers be able to order my printed book? How easily will customers be able to order my ebook? Online retail now dominates bookselling. In 2015 60% of JHP sales were online, 30% of that in traditional bookstores, 10% to non-bookstores, the remainder to Amazon. We sell the print and ebook editions of your book on Amazon, your ebook on Apple, Google Play and Kobo, and your printed book on Books etc, Wordery, The Book Depository and on all key online retailers. You may see aggressive discounting between retailers on Amazon marketplace as these online retailers fight for market share. We also make your book available online through traditional chain booksellers Barnes & Noble, Folletts, Blackwells and many other retailers through intermediaries such as Overdrive. We support smaller local independent booksellers by offering your title through sales channels on Indiebound in US and Hive in UK. These appear in the BUY ONLINE link on your book webpage at http://www.johnhuntpublishing.com. Your book's page will be made 'live' on the website approximately nine months ahead of publication date, once we have edited the descriptive copy and compiled the AI/tipsheet, and prepared the metadata to distribute to the trade and Sales teams. see deep discounts like those on Amazon marketplace and during special promotion periods. The "selling price" may not be the same as the recommended retail price of the book. RRP can be discounted by a few % to 80%. This is at the discretion of the retailer. You will receive royalty on the discounted RRP we give the trade, irrespective of the retail discount to the reader. Trade discounts vary between 35% and 55% off RRP. You may also see discounts counterbalanced by national taxes added to the price of your ebooks e.g. 20% VAT on ebooks in UK. use any strong keywords tagged to your book, see more in MARKET POSITION. can browse and discover your book from amongst the almost infinite choice that is available from online retailers, unlike traditional bookshops with finite shelf space. Your book has more competition than there ever has been. Some of these features will be in the book itself, some reach retail sites through our new title data feed to the trade, others you will be able to add through your author pages such as Amazon Author Central. The information you give us on your book pages helps get your book noticed online. This metadata is distributed far and wide throughout the distribution network. Once this has been sent it is very difficult, almost impossible, to retrieve or change. We can access source databases such as Nielsen Bookdata and Bowker and the bigger online retailers, but we will never reach every retailer. At every stage both before and after publication, we can use any marketing and publicity that you are doing to encourage retailers to order books. Please keep adding Marketing Activities. The metadata information about the different formats of your book goes to the trade in the month after text and cover files are finished. We always schedule a publication date of the last Friday in the month, although we set the release date earlier so as not to hinder sales. We release books to the trade as soon as they reach the warehouses four to six weeks before publication. If stock is ordered earlier than six weeks into our US warehouse, NBN, they advance the publication date which can complicate things. We aim to deliver stock so as not to alter pub date. These days retail stock control is highly automated, shipping is fast, and books in the distribution chain aim to match reader demand. This means many retailers can keep low stocks and order books from distributors non returnable. Initially big retailers often buy a single print copy from the distributor to switch on systems and seed their hub warehouse. This works well for bigger retailers buying direct from our distributors. However some wholesalers hold large stocks ready to supply these big retailers faster than their competitors. This has meant high returns, which you may see as negative sales on your Financials page. The number of copies the retailer shows as being in stock is not significant. Big retailers like Amazon pick up several times a week from the distributor. Our US distributor NBN can deliver books within 8 working days, similarly for our European distributor Orca Marston. You shouldn't be alarmed if your book is listed as Temporarily Out of Stock on your regional Amazon; this only refers to Amazon's own stock. In the meantime your book will likely still be available for customers to purchase through Amazon but from other sellers, such as Book Depository and Blackwell's, by clicking 'New' beneath the large Paperback buy-button and choosing from the subsequent list of sellers. If you don’t see your printed book available correctly on Amazon, Barnes & Noble, Waterstones, Hive, Indiebound or your preferred retail site, post a query with title and publication date on the HELP forum Sales & Distribution/ Sales Online, and we will follow up. This is especially important around publication day and before any major publicity. These sites restrict authors from accessing and making changes to the descriptive copy for their books, we can do this for you. If you receive a new review of special note, you can add it to the Editorial Reviews on the Amazon.com, Amazon.co.uk etc. To do this you need an Amazon Author Central Account. For instructions, visit CHAPTER 12: ONLINE SALES AND AMAZON – AMAZON. NB. Sometimes a glitch on Amazon.com causes a book not to appear in searches. If you experience this problem please go to your Browser History, select Clear Browsing Data and delete your browser cache and cookies. Then try your search on Amazon.com again, making sure to use book title and author surname. If the problem persists please let us know on the the Sales & Distribution/ Sales Online forum. On most ebook sites your ebook will be available to pre-order one month before publication and can be downloaded and read from publication day onwards. If you don’t see your ebook available correctly on Amazon, Google, Apple, Kobo, Barnes & Noble, Hive, Indiebound or your preferred retail site, post a query with title and publication date on the HELP forum Sales & Distribution/ Sales Online, and we will follow up. As for printed books, the availability of your ebook is especially important around publication day and before any major publicity. Ebooks can also be bought and read on subscription. We offer your ebook to subscribers through two services, Scribd and 24 Symbols, but not as yet through Amazon’s subscription services. For $8.99 readers can download from Scribd and 24 Symbols as many ebooks as they can read in a month. They can also buy individual books and download them outright. Revenue is reported on your Financials page monthly. We offer BUY ONLINE buttons to established retailers on your webpage and earn affiliate fees. We don’t yet sell books direct to readers from our own website. Google is the world’s biggest search engine. Google sells ebooks and other entertainment media on its digital distribution platform and media store, Google Play, which offers over 5 million titles in 65 countries. In addition to downloading books from Google Play, users can upload up to 1,000 books to the cloud free of charge. We offer your book for sale on Google Play through the Play Books Partner Centre via the NBN ebook Fusion program. Publishers selling their ebooks on Google Play are required to make the book available for a limited preview. This offers readers up to 20% of the manuscript and aims to mimic a reader browsing in a traditional bookstore. Google Analytics: Find out if people are looking for your book on Google; how many, what they did, where they went. Use to track traffic to your own website. http://www.google.com/analytics/. Google Alert: The best way of finding all mentions of your book on the internet is to set up a Google alert with either your name or the name of the book. You then get alerted to any mentions. If you just want to search through blogs, look under “your name + blogs,” and that will bring up any mentions or reviews of your book that have been committed to a blog anywhere. Google AdWords: we have tried this on a few books and seen a small rise on sales. Apple is the world’s largest IT company by revenue and the world's largest technology company by total assets. Its iBooks Store delivers ebooks to any Apple device such as an iPad, iPhone or iPod. Apple is fiercely competitive and bans any book which mentions Amazon or contains a link to Amazon. It also censors books strictly and takes down books containing adult content. After Amazon, Apple sells the most ebooks. Yes, its name is an anagram. Newest of the big four online bookstores, Kobo was founded in 2009 and is owned by ecommerce company Rakuten. Kobo is based in Canada and offers more than 5 million eBooks and magazines in 77 languages to millions of users of the Kobo ereader device and app. Its platforms support popular e-book formats, including EPUB, EPUB3 and PDF. All our titles are available as ebooks on kobo.com but Moon Books sold particularly well in 2015. The Book Depository was founded in 2004 by an Amazon employee and sold back to Amazon in 2011. Since 2011 TBD sells only printed books, no ebooks, and specializes in reaching far flung customers in countries outside US and UK. It competes hard with home-grown internet retailers, Loot in South Africa and Booktopia in Australia. Although, any titles ordered by Australian customers from Amazon/TBD are being supplied from UK or US. The Book Depository never order from our Australian distributor Brumby. BOOKS etc online rose phoenix like from the ashes of Borders UK in 2010. Books etc is based in Hampshire, England and fights hard to bring print books to readers, mostly in UK, from their own website and other online marketplace platforms on Amazon, eBay and play.com. 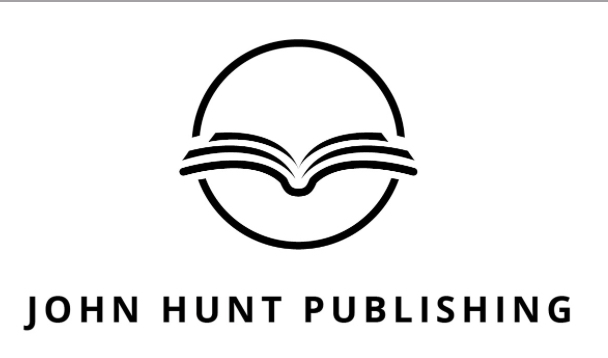 We run regular promotions on booksetc.co.uk including a John Hunt Publishing shopfront. Wordery is UK book wholesaler Bertrams’ online retail venture started in 2013. It offers readers 10 million titles, in print format only. It sells on platforms Play.com, eBay, Amazon Marketplace and offers free delivery to over 100 countries. Booktopia is the largest Australian online book retailer, outselling even Amazon and The Book Depository in Australia. It is a 100% Australian-owned online-only retail store selling books, eBooks and DVDs. Based in Sydney, Australia it offers over 4 million books in print and ebook from local and international publishers to readers in Australia and New Zealand. Our distributor Brumby supply Booktopia. Loot is South Africa’s independent online entertainment retailer. It sells over one million books and thousands of CDs, DVDs and games. Loot doesn’t sell ebooks yet. The biggest book chain in the US is Barnes & Noble. They sell print books in store and online. They also sell ebooks or nook books for their Nook ereader and tablet. The biggest book chain in Britain is Waterstones. They sell print books in the high street, on university campuses and online. When Amazon first started selling their kindle ereader in the UK Waterstones raised eyebrows by selling these ereaders in their stores. However, this partnership is now over and Waterstones stopped selling ebooks in 2016. Printed books are rarely pirated. Piracy of ebooks is more common. Along with most publishers, we do not build digital rights management (DRM) into our ebooks because it would restrict their readability and distribution. Third party stores (e.g. Amazon, Apple, Barnes and Noble) add a layer of DRM that locks the book to a specific user account and device. If you do come across an instance of your manuscript being offered as a free download and you can find a contact email address on the offending site, post this and the URL link to your book on the Help forum in Sales & Distribution/ Sales Online. We will issue a take-down notice to their service provider. Word Press and Youtube are on our side and will take down any offending URL. One publishing guru we recommend is Jane Friedman. Here is the link to her blog on how to sell books.